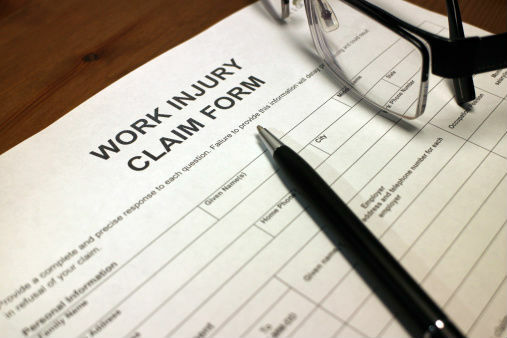 People often rely solely on the worker’s compensation system when they have been injured on the job. It is important to understand, however, that a worker’s comp claims adjuster is not necessarily looking out for your best interests. If you have been injured on the job then you may be dealing with lasting effects and repercussions. It is important that you consult with a workplace injury attorney immediately to ensure that you are being treated fairly. Contact Springfield Injury Law today for a free initial case assessment. When one is injured on the job then their case enters the worker’s compensation system. Their claim is then assigned to an adjuster just as it would be if they were dealing with an insurance company after an auto accident or a trucking accident. That insurance adjuster, however, is not an advocate for the injured and is not concerned with their best interests. This can often lead to people being offered “low-ball” settlements in regards to financial compensation, retraining expenses, and ongoing medical bills stemming from the injury. Hiring a workplace injury attorney to assist you will ensure that someone is in your corner and that your representative is concerned about you and you alone. Springfield Injury Law attorney Tom Kapstrom is able to assist you if you have been injured on the job. Issues Tom normally deals with in such matters include disputing evaluation results in regards to ongoing medical treatment, making sure that any lost wages are fairly valued, and fighting to make sure one is fairly compensated in the event that they must find a new career. It is easy to think that one does not need an attorney when entering this system. It is a mistake to hold that belief. Contact our Springfield lawyer today for assistance. People take their employment very seriously for good reason. One’s job is as much about a feeling of dignity as it is about earning a paycheck. This leads one to feel torn and frustrated when they are injured at work. This internal conflict, in turn, leads many people to deal with the worker’s comp system on their own rather than calling an attorney. Personal injury attorney Tom Kapstrom appreciates this frustration and provides a high level of service to his clients to make this process easier. He works diligently to stay in regular contact with his clients and keeps them up to date as to the status of their case. Few things are as important as one’s career. Our southwest Missouri office will show your case the respect it deserves. In addition to Springfield, our workplace injury attorney services the rest of southwest Missouri. These areas include Polk, Christian, Stone, Taney, Webster, Wright, Lawrence Counties as well as the Ozarks. Contact us today.